Veg Jaunts and Journeys is a specialty vegan tour operator helping vegans to explore the world compassionately and ethically, with environmentally friendly practices and standards in mind. Veg Jaunts and Journeys began in 2018 with all the initial five vegan tours selling out. They have now announced twelve tours for 2019 throughout Europe and the US, which will include Barcelona and Madrid; Paris; Italy; Edinburgh and Glasgow; Berlin; Asheville, North Carolina; and Santa Fe, New Mexico, among others. The activities during the tours will include visiting vegan festivals and animal sanctuaries, vegan cooking classes, vegan walking tours, and connecting with local vegans. 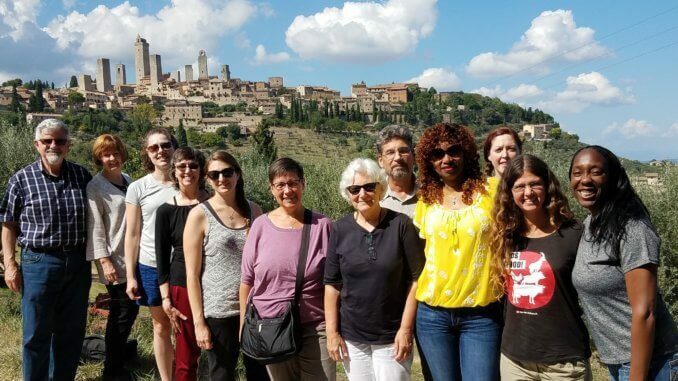 The groups are maximum of ten people and one doesn’t need to be vegan to join a tour, although they are required to eat vegan while dining with the group. One focus of the tours is to show that travelling as a vegan is not difficult.